Enjoy Utah! 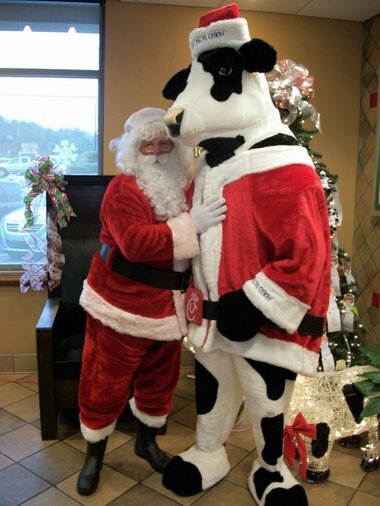 : Santa Is Coming To Chick Fil A Jordan Landing! Santa Is Coming To Chick Fil A Jordan Landing! Santa will be at the Jordan Landing location of Chick Fil A on Wednesday December 15th from 6pm to 8pm. The first 50 kids will get their picture taken with Santa for FREE! Also, remember that every Wednesday night from 5pm to 8:30pm is FAMILY NIGHT, where you receive a FREE 4-count nugget for every adult combo meal that you purchase. CLICK HERE to "like" Chick Fil A Jordan Landing on Facebook and keep up with all the fun events they have going on!